WR Brandon Gibson is currently on pace for 858 receiving yards in 2013. The Miami Dolphins have not beaten the New England Patriots since December 6, 2009. Since that 22-21 home victory, the Dolphins have dropped six straight to Tom Brady, Bill Belichick and company and have been outscored by an average of 20 points per beating. The Patriots have had the Dolphins number as of late. That is a fairly sizable understatement. And before the Dolphins can be taken seriously in the tight AFC East race, they must prove that they are capable of beating the rival Patriots. Doing so on Sunday would revive a season that has taken a turn for the worst over the past three games and would officially make the Dolphins a true contender in their division. The secret to slowing down Tom Brady and beating the Patriots has always been providing consistent pressure defensively. The New York Giants laid down that blueprint twice in Super Bowl triumphs over New England. And one reason the Patriots have lost two of their last three games and came within a last-second touchdown of three straight defeats is because Brady’s protection has been leaky as of late. Brady has been sacked at least four times in each of the last three weeks, as opposing defenses are beginning to dial up more pressure. Defenses are blitzing Brady 32 percent of the time this season, which is up from 26 percent in 2012. And Brady’s quarterback rating against the blitz is down to 79.5 this season after an incredible 128.9 rating when blitzed a year ago, according to Pro Football Focus. The Dolphins’ pass rush has been rather mediocre in recent weeks, but defensive end Cameron Wake is set to retrieve his every-down role after sitting out most snaps during Miami’s past four games with a knee injury. The coaching staff should also consider increasing rookie defensive end Dion Jordan’s role. Jordan has been an effective pass rusher when on the field, but the Dolphins have limited his defensive snaps to the 20-25 range in most contests. Miami would be wise to enlist Jordan more often than not on passing downs in New England. Last week, one of the Dolphins’ biggest goals offensively was to remain balanced after teetering towards pass-happy status during the first five games of the season. In Week 8, however, the objective should be pounding the rock, possibly even becoming a run-first attack. The Patriots are struggling to defend the run this season. Two of their best run stuffers — Vince Wilfork and Jerod Mayo — are out for the season and defensive tackle Tommy Kelly, who is also solid against the run, will likely miss his third consecutive game versus the Dolphins. Only the winless Jacksonville Jaguars are currently allowing more rushing yards per game than New England. It could be a big afternoon for running backs Lamar Miller and Daniel Thomas if offensive coordinator Mike Sherman stays committed to running the football for 60 minutes. The Patriots’ offense has struggled to move the football at times this season. They currently rank 20th in passing yards per game — a far cry from their typical standing with Tom Brady under center. But there is hope that New England will field a high-powered offensive attack once again. And that hope centers around the return of tight end Rob Gronkowski, who was able to produce over 100 yards in his first game of the season this past Sunday. Gronkowski poses a huge threat to a Dolphins defense that has covered well on the boundary but has been vulnerable between the numbers so far this season. Look for the Dolphins to bracket Gronkowski with a linebacker near the line of scrimmage and strong safety Reshad Jones in the secondary. If Miami can limit Gronkowski’s impact on this football game, New England’s offense doesn’t look all that scary. In Week 7, the Dolphins handed a game to the Bills on a silver platter with three costly turnovers. Two of said turnovers resulted in 10 Buffalo points and one occurred in the red zone, which prevented at least three points for Miami. Tom Brady is too good to be gift wrapped opportunistic field position. If the Dolphins turn the football over multiple times on Sunday, Brady has the killer instinct to turn those turnovers into points, which is one sure way to get ran off the field in Foxborough. The Dolphins are currently -1 in turnover differential, while the Patriots are +5. That trend cannot continue on Sunday if Miami hopes to pull off an upset on the road. Dolphins quarterback Ryan Tannehill appears to be the most likely suitor to take over as the AFC East’s top signal caller when Tom Brady finally retires. 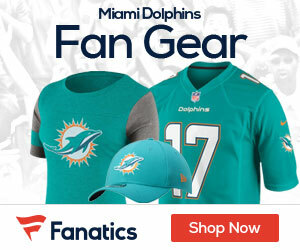 But Tannehill surely hasn’t done enough to solidify himself as such, and two promising rookies in New York’s Geno Smith and Buffalo’s EJ Manuel would surely be eager to take over the reigns if No. 17 isn’t up for the task. Tannehill had a rough first half this past Sunday versus the Bills, tossing two of the ugliest interceptions of his young career. Without those two mishaps, the Dolphins likely would have won the game by a touchdown or more. With them, the Dolphins are 3-3 on the season and have dropped to third place in the AFC East. The league’s best quarterbacks usually always bounce back after rough performances, which is what Ryan Tannehill needs to do on Sunday against the Patriots. Shutdown cornerback Aqib Talib looks like he’ll play, but even if he’s in the lineup, the Dolphins have the potential to move the ball through the air on New England. Running the football should be made a priority throughout, like I mentioned in key No. 1, but the Patriots have a rather inconsistent pass rush that could allow Tannehill the most time he’s had all season to throw. Better yet, New England’s left defensive end, Rob Ninkovich, is more of a run stuffer than a pass rusher, which means scrutinized right tackle Tyson Clabo might not be exposed on Sunday in perhaps his final NFL start. If Tannehill has time, I think he’ll make enough plays to keep the Dolphins competitive, perhaps even pull off an upset that could become one of the signature moments of his young career.